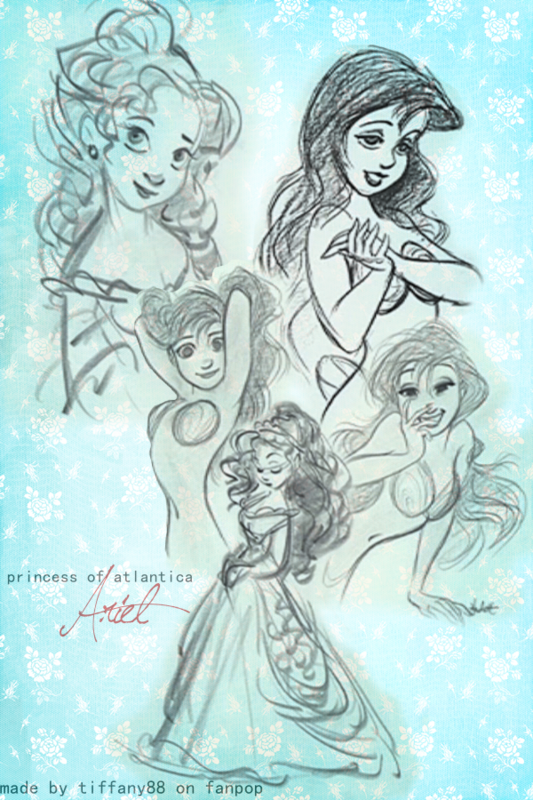 Ariel - Concept art. . HD Wallpaper and background images in the Disney Princess club tagged: disney princess fairy tale ariel little mermaid. This Disney Princess photo contains anime, comic book, manga, and cartoon. I am very distracted by the one where she's holding her hair back and she's sticking out her chest. 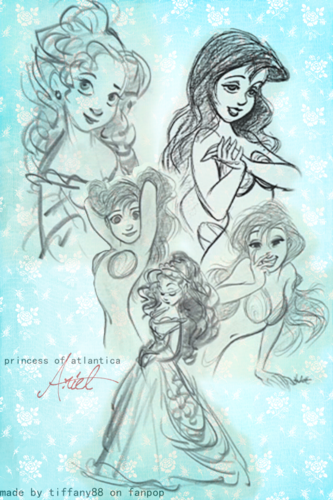 I kind of like the giggly flirty looking one and the Ariel in the dress is cute. The one on the top left is bleh. Aww, she is as beautiful as she is in the final cut.